Peabody - James J. Savino 77, beloved husband of the late Christine “Tina” (Westerdahl) Savino, died Friday, April 12, 2019 at the Kaplan Family Hospice House in Danvers surrounded by his family. Born, raised and educated in Beverly, he was the son of the late James V. and Irene L. (Beaulieu) Savino. Mr. Savino had a passion for cooking and had worked at several facilities throughout the North Shore as a chef. Prior to that he had been employed for twenty years as a supervisor at Varian in Beverly. 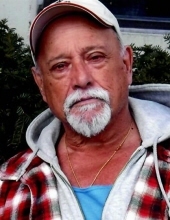 A resident of Peabody for many years, Mr. Savino was known by his family and friends as a wonderful cook especially for his meatballs and clam chowder. He enjoyed laying by the pool and soaking in the sun and had a wonderful sense of humor and enjoyed making people laugh. Most of all, he was a dedicated family man. He was a loving father, grandfather, great grandfather, brother and friend who will be missed by all who knew him. He is survived by his daughter, Maria Ball and her husband, Scott of Peabody, two sons, Anthony Savino and his wife, Victoria of Beverly and Robbie Savino and his partner Justin of Danvers, seven grandchildren, Aaron Savino, Natosi Byrd, Matthew Ball, Courtney Ball, Andrew Ball, Sophie Savino and Olivia Savino, a great granddaughter, Grace Savino, two sisters, Judith Ford and her husband, John of Westford and Linda Dillon and Declan of Lowell, a sister-in-law, Sharon Savino of Beverly, his special companion, Loretta Barbrick LaRose of Peabody and many nieces and nephews. He was also the brother of the late Richard Savino. His funeral service will be held at the Campbell Funeral Home, 525 Cabot Street, Beverly, Saturday, April 20, 2019 at 1 p.m. Relatives and friends are invited to attend. Visiting hours will be held prior to the service on Saturday from 11:00 a.m. to 1:00 p.m. Burial will be private. In lieu of flowers contributions may be made in his memory to the Kaplan Family Hospice House, c/o Care Dimensions, 75 Sylvan St., Danvers, MA 01923. Information, directions, condolences at www.campbellfuneral.com http://www.campbellfuneral.com. To send flowers or a remembrance gift to the family of James J. Savino, please visit our Tribute Store. "Email Address" would like to share the life celebration of James J. Savino. Click on the "link" to go to share a favorite memory or leave a condolence message for the family.